Manufacturer & Supplier of Ignition Electrode. Our product range also comprises of Water Treatment Plant, Water Treatment Chemical and Commercial Burner. 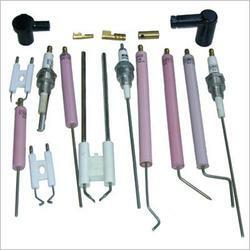 Being a leader in the industry, we are engaged in offering a qualitative range of Ignition Electrodes. Looking for Ignition Electrode ?